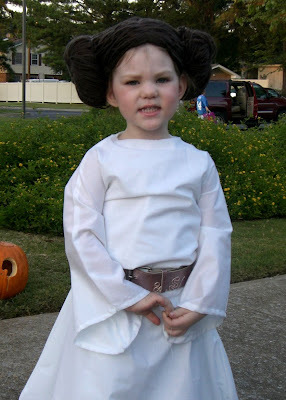 And while we are on the subject of Star Wars, check out Princess Leia’s hair! I think it is made out of yarn. Great idea! 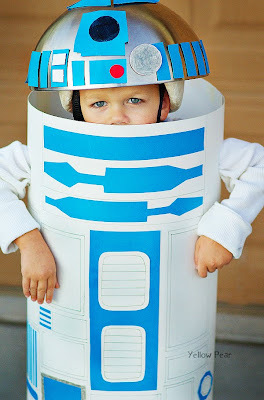 I love this cute Lego costume by Following Phubie! Unique and who doesn’t love Legos? 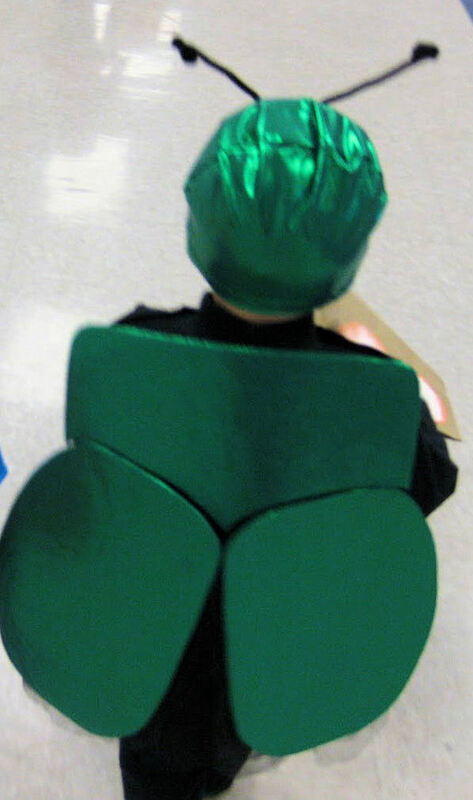 How about dressing up as a shiny green beetle? Not the most requested costume, I bet, but very cool! Take a look at the front of the costume here, and see what the rest of the family wore to make it a family theme. 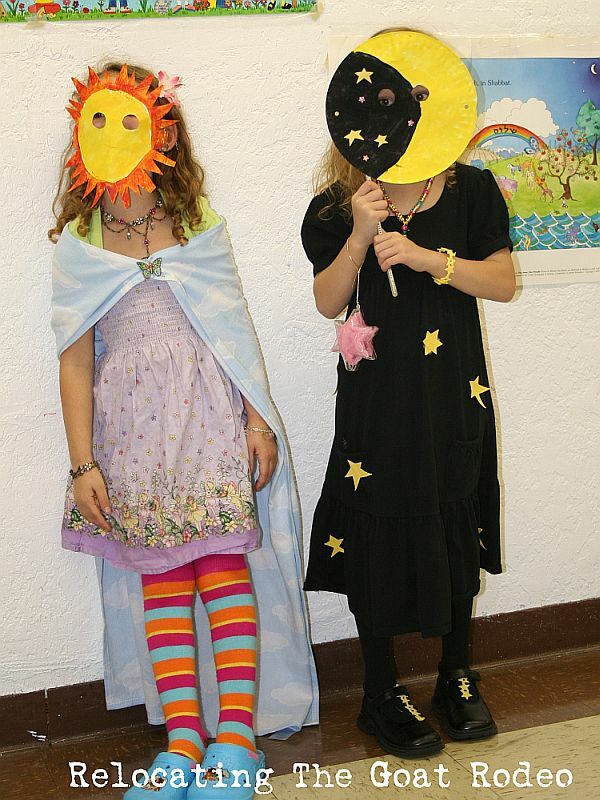 This Day and Night costume works best with a sister or friend, but I love the simple creativity that went into these. Day wears a sun mask and a sky patterned cape over her flower garden dress. Night wears all black with stars attached and a moon mask. I bet you could put something like this together last minute! 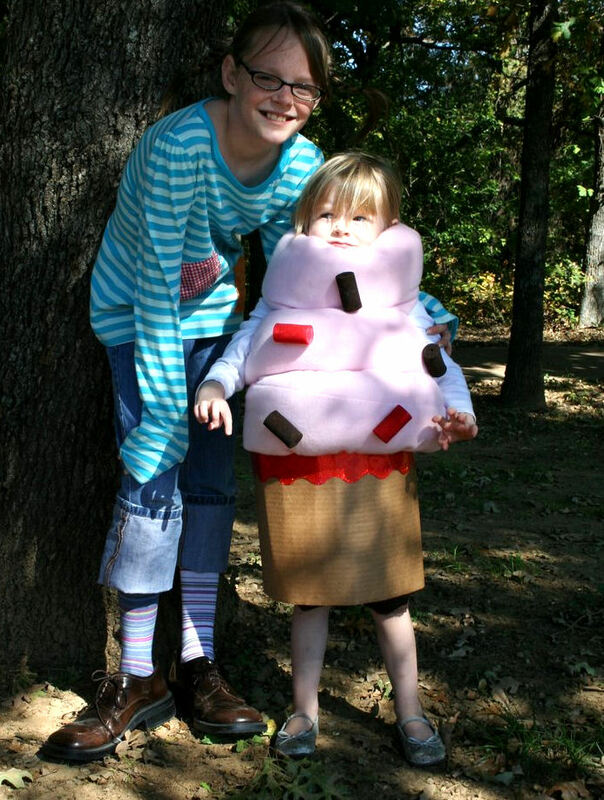 If you are looking for adorable you might try this cupcake costume (above) from Dukes & Duchesses or this sweet clown (below). There are other sweet clowns in this family. You’ll have to check them out @ At Second Street! Thanks for linking up, everyone! So have you figured out your costumes, yet? If not, don’t stress. I’ll be back in a bit with family and couple costume inspiration! i will just say, that i really love this great thinking and ideas, i love it! keep it up! How did you make the beetle costume? More specifically how did you get the wings to stay on? My son is going to be a beetle for a concert soon, and I’m stalled out on how to get the wings to stay on.